Always special to have something passed down with real value of the sentimental variety. Hey kixslf check you inbox. let me know if it's possible. my new golden natural from tanner. Bill, Elephant graphic at the URL in your sig is tight. Any way to see those Tender jeans? Lookbook asks for login info.... Site mentions leather too. 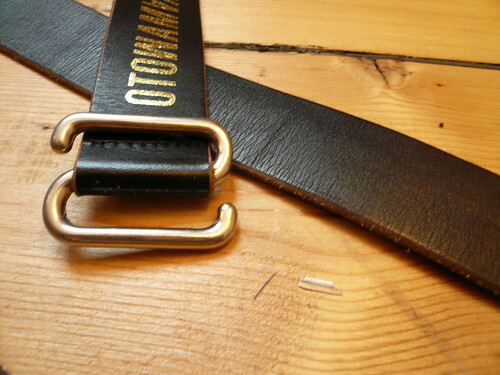 Going to be making belts? 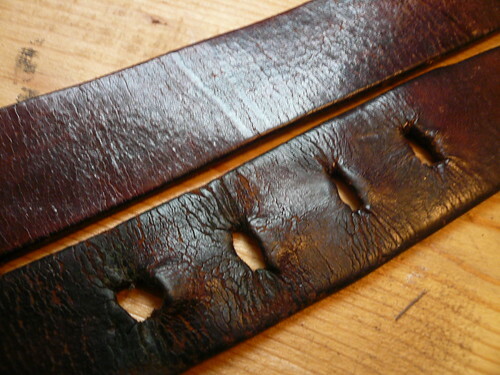 how did you treat that corter belt? Yeah, I didn't get my sizing right and at first was only able to get it to the first hole. Didn't like how it looked, so forced myself to get to the 2nd. It was pretty uncomfortable doing anything for only about 1-2 weeks. 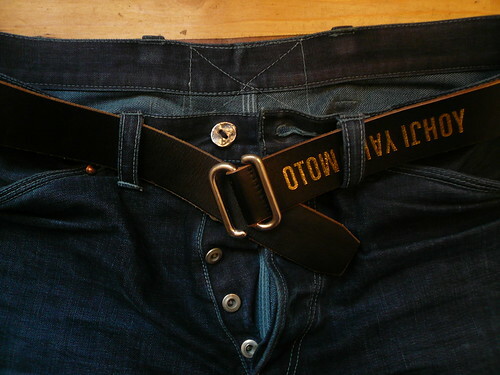 Real nice belt, hf with it. good to hear... remember you can always send em back for a new size if they don't fit when you receive them. 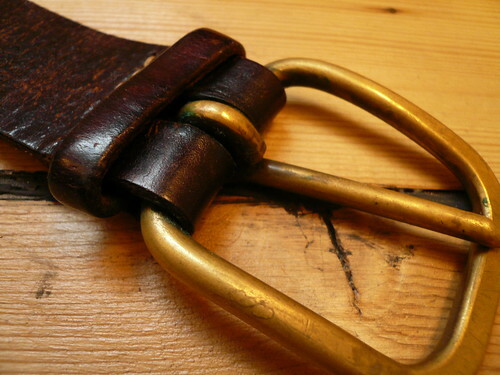 one thing that id prefer is a leather keeper... i may end up using another buckle too... ive got 1 or 2 old raw brass ones lying around. 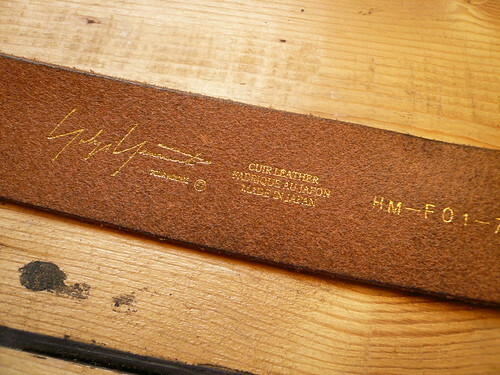 leather is really thick and just a beautiful color... i cant wait to see how it ages. Got my tanner belt today....looks great but i'm regretting my decision to get the skinny version...will probably end up buying the regular one at some point as well. 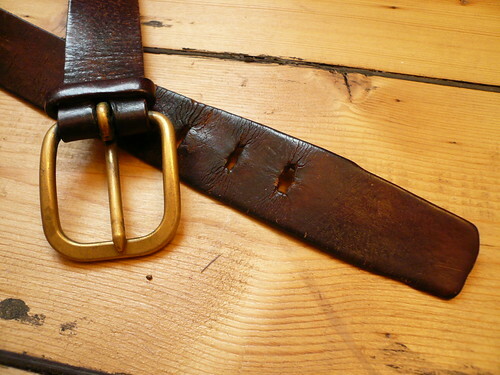 I would let it sit in the sun during the summer for several hours and then applied some Sno-Seal; which I know is usually reserved for boots but it seems to have worked fine for the belt too. I've been heating it/treating it every 4-6 months or so afterwards. 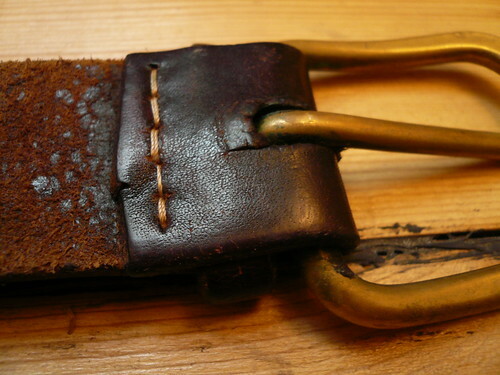 In the fall/winter months I've just used a hairdryer to warm/loosen up the leather before a treatment. fit pic for those who requested it. 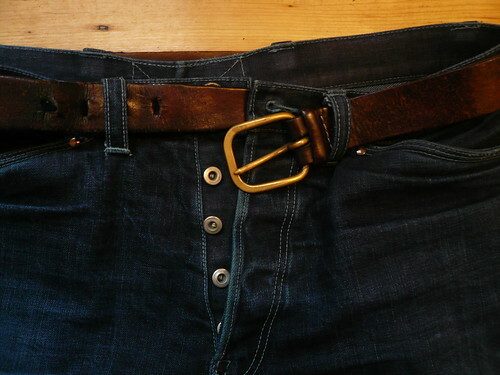 I'm really impressed about the amazing quality of this belt. Like Mr.HaGa said somewhere before, you can't compare the quality to ALD, Corter or so. Miles away from those, awesome. Yeah, thanks a lot to mil-mil! 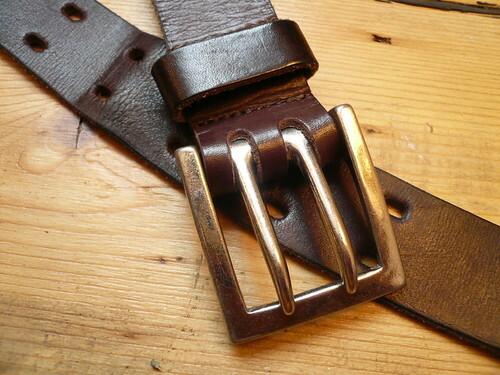 I also have the Sugar Cane Garrison belt. Outstanding quality. 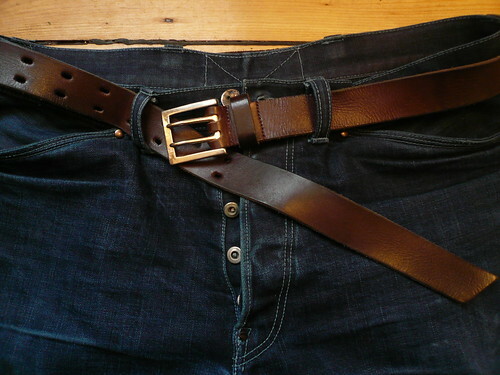 I also tried the Samurai Heavyweight curved belt, but found that too wide and unwieldy. The Sugar Cane has been perfect. Sounds very intriguing, and excellent news that it's all made here in the UK. Will be very interested in seeing your range. they do not get really dark brown without treatment, and there is a lot going on. really rewarding.